Starkey Laboratories in Hazel Grove welcomed the Deputy Prime Minister Nick Clegg to its European HQ in Hazel Grove as the leader of the Liberal Democrats paid a flying visit to the North West. American owned Starkey who employ nearly 200 staff and technicians at their manufacturing site in Hazel Grove where they produce state of the art audio equipment, from hearing protection to App controlled made for iPhone hearing aids,were delighted to be selected for the visit. The full story can be found on the MEN website. Stockport Council is thanking green-minded residents for helping the borough be the best for recycling rates in the whole of the North West. Stockport also thrashes all London boroughs, recycling more than any other metropolitan authority in the country. In the league table of all of Britain’s 354 council’s, Stockport comes 6th. The recycling success means that not only are Stockport residents doing their bit for the environment, they are helping keep council tax down and saving money that can be spent on other services. The cost of landfill means it costs £246 more per tonne to dispose of waste from the black bin compared to the blue and brown bins. The Council’s ‘Right Thing Right Bin’ campaign continues to help residents to make sure their recycling efforts aren’t wasted. Materials sent for recycling are checked at the depot and it only takes a few households to have put the wrong items in their recycling bins for a lorry load to be rejected and sent to landfill, causing unnecessary environmental damage and costs. Treasury figures have been published showing Stockport to be the best value council in Greater Manchester. 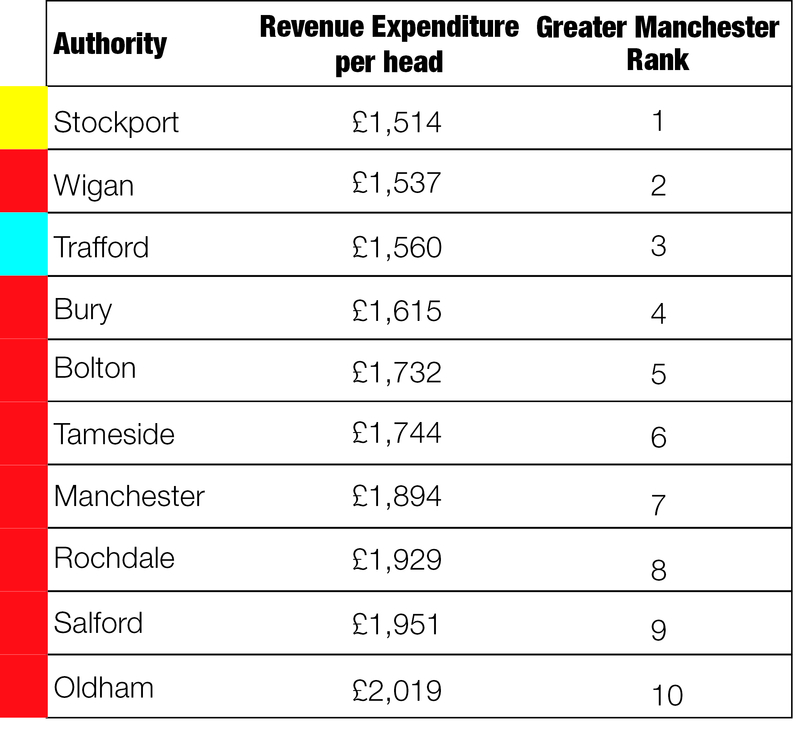 A league table of council’s spending per-resident gives Lib Dem Stockport a lower figure than all other councils in the area, demonstrating the effectiveness of the balanced budget working Stockport Council has worked hard to maintain. The “excellent” financial management of the local authority since the Lib Dems took control of the borough means Stockport Lib Dems are able to propose a Council Tax freeze for 2014/15, something that will be debated by all Stockport councillors in what is expected to be a heated political debate at the Town Hall this Thursday. Most residents will have seen the multi-storey car park being built next to Stockport’s railway station – the first part of regenerating the Grand Central area. The Lib Dem Council’s Executive has now approved proposals for the next phase – an office block, hotel and public square, giving a pedestrianised exit from the station. The development creates jobs in the construction phase, but also jobs further down the line in the businesses that will be based here.